Description Foxbone brings two riding disciplines together. The most sturdy draft was chosen out of numerous sketches. 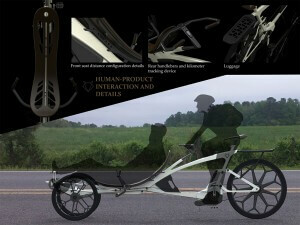 The cycle’s form is based on the advantages of the recumbent tricycle, shaping its steering around a reclining systems. This design gives the user extra energy. The automatic transmission and the electric pedals help reduce the need for the rider’s effort, increasing riding range by providing support power for up to 45 kilometers. Also, its special suspension system reduces the shock felt at the front and rear. 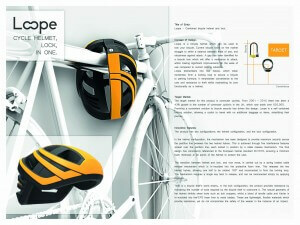 Description Targeted at leisure and commuter cyclists, Loope is a bicycle helmet that can lock a bicycle. It divides into two halves that loop around and fasten together to secure a bicycle to parking accessories. 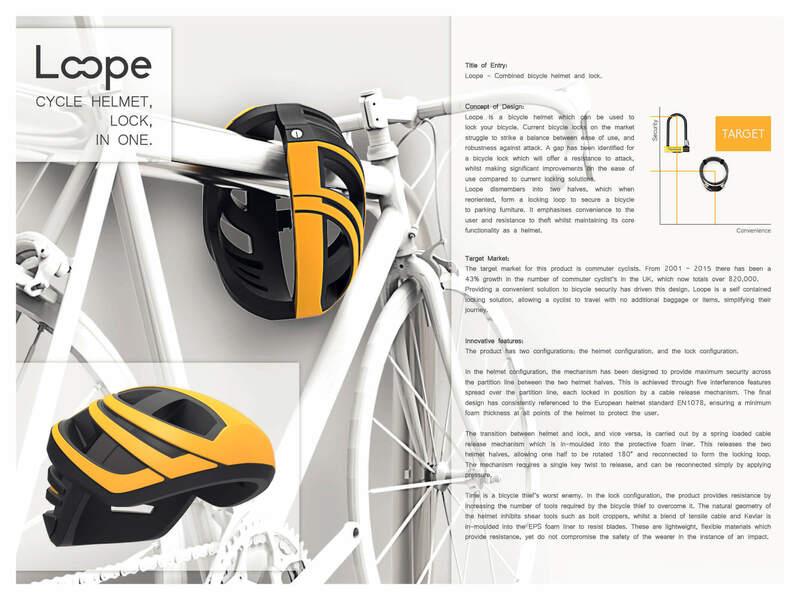 In the helmet configuration, Loope provides maximum security by locking the two halves of the helmet. In the lock configuration, the product combines the helmet geometry with lightweight, break-resistant materials to maximize the number of tools required for a bicycle thief to overcome it. Description Adam. 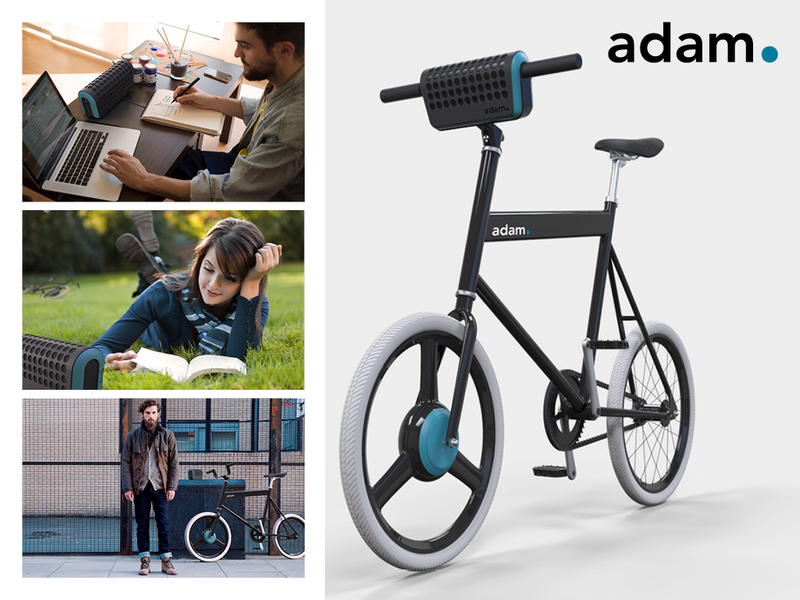 is an E-bike design for a very specific target group: students. Result: adam. – a bike that looks awesome, is great to ride, and is incredibly adaptive to 24-hour student life. adam. 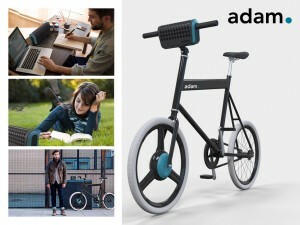 is a 20” minimal single-speed bike that is built to survive city use and look amazing while doing so. A front wheel hub motor, which is fully incorporated in the front wheel design, power assists the bike when needed. The detachable battery is placed on the handle bar and doubles as a portable speaker and power bank for your mobile devices. Description Zebra is a compact and lightweight urban bike with smart electric assist—clean, simple, and city-proof. 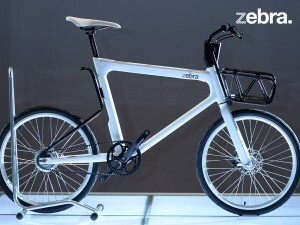 Zebra focuses on daily city use. The bike is super compact and robust: batteries, wiring, and lighting have been fully integrated within the frame. The bike has a convenient luggage basket, and the rear end bracket allows for accessories to be mounted (lock, carrier, mud guard, child seat, and more). Zebra uses an intelligent power recycling system. Battery Capacity Regeneration Technology provides features like HDC (Hill descent control) and brake assist, and it also extends battery life. Built-in GPS allows you to track the Zebra from your phone. Description Boomerangs are designed to spin about an axis that is perpendicular to the direction of flight. 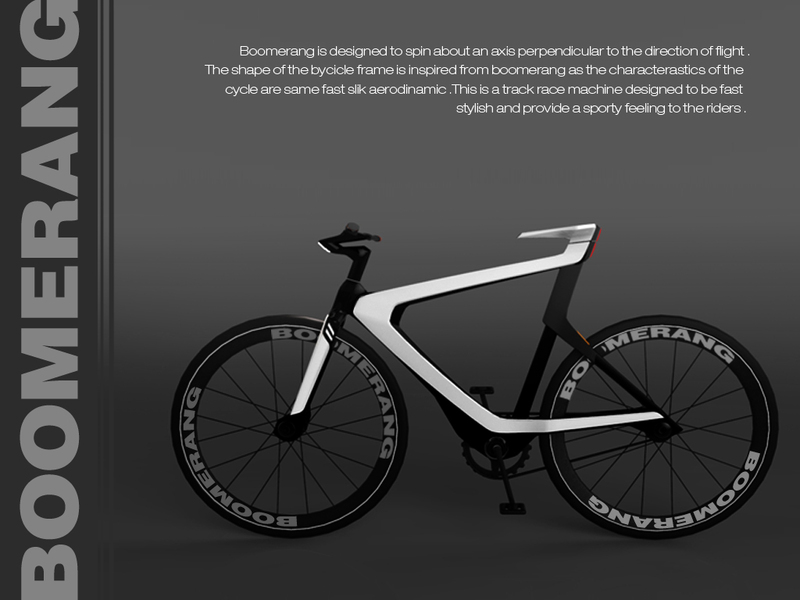 The shape of this bicycle’s frame was inspired by a boomerang, giving the cycle the same fast, slick, and aerodynamic characteristics. 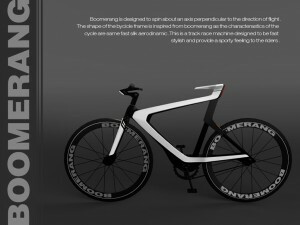 This is a track/road race machine designed to be fast and stylish and to provide a sporty feeling to its riders. 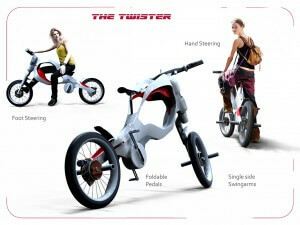 Description This is an electric motor assisted – bicycle with DUAL modes of riding, depending on what you want. This offers a new riding experience that suits your different moods. The bike also has a new type of navigation system mounted on the handlebar: when activated, two bars slide out of the handlebar and project a virtual GPS in front of you. You can keep your phone safely inside your bag while still viewing the screen virtually via Bluetooth. This feature can be used in all weather conditions, and it can make your ride safer. 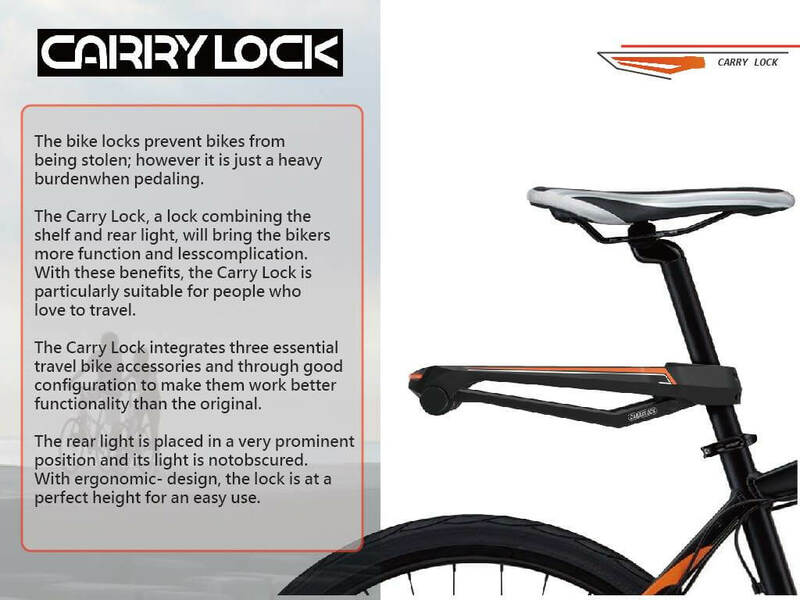 Description The Carry Lock, a lock combining the shelf and rear light, will bring the bikers more function and less complication. With these benefits, the Carry Lock is particularly suitable for people who love to travel. The Carry Lock integrates three essential travel bike accessories and through good configuration to make them work better functionality than the original. The rear light is placed in a very prominent position and its light is not obscured. 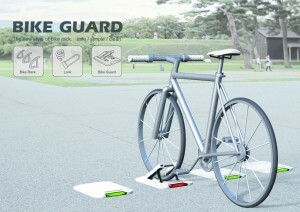 Description Bike Guard provides an auto-lock function that eliminates stained hands and heavy locks. It also makes it easy for bikers to find an empty parking space. 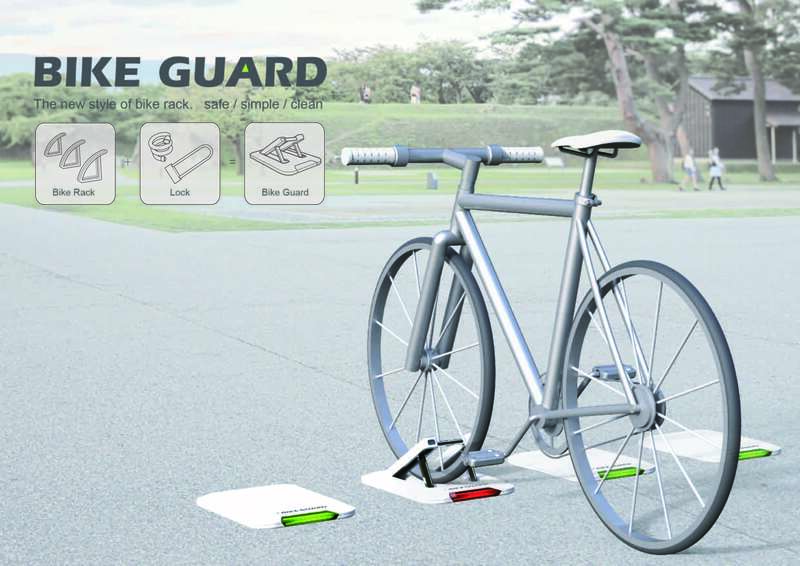 Bike Guard is simple to use—all you have to do is pay with an easy card. 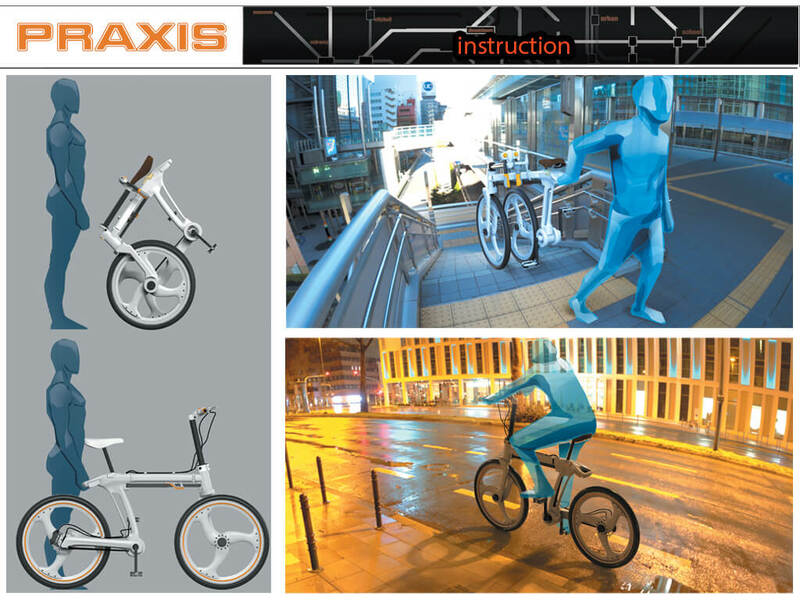 This innovation transforms bulky 3D bike racks into compact 2D spaces, making it “Bike Guard” not only can be convenient and inexpensive transport and also modernizing a city’s appearance. 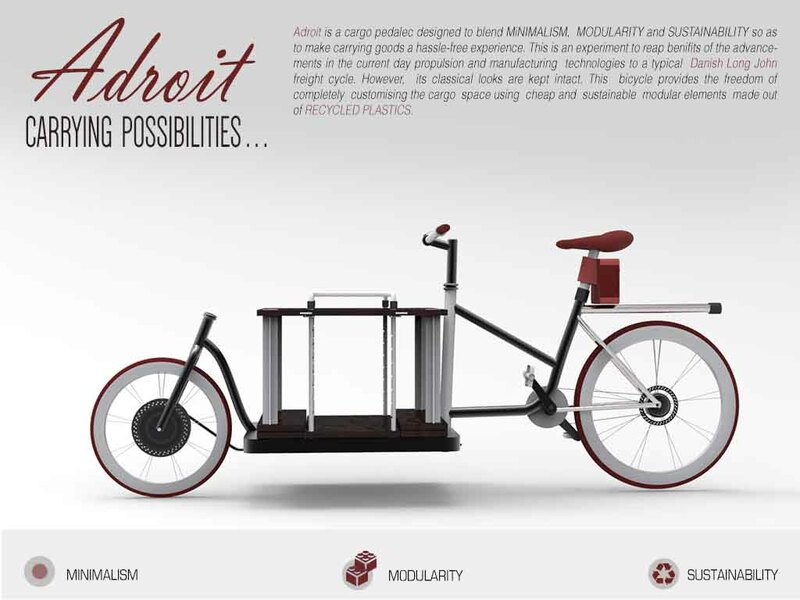 Description Adroit is a cargo pedalec designed to blend minimalism, adaptability, and sustainability to make carrying goods a hassle-free experience. This is an experiment that seeks to reap the benefits of modern advancements in propulsion and manufacturing technologies by applying them to a typical Danish Long John freight cycle. The cycle’s appearance is kept intact to retain the feel and experience of riding a bicycle from a bygone era. One of the unique features of this bicycle is that, it provides the freedom of a completely customizable cargo space, made using sustainable recycled plastic. 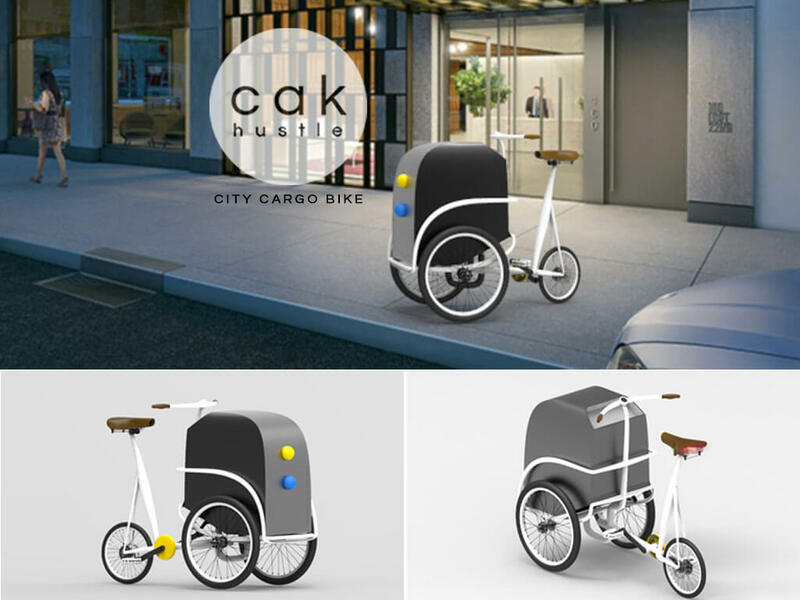 Description Cak Hustle was brought to life by becak, which dwell amongst the nation as one of the most commonly seen cargo bikes. In the past becak, were mainly used to carry passengers. Reflecting a new era of busy city -life, the design has been is transformed into a city cargo bike that carries the personal effects of the user. The cargo compartment is adjustable, adapting to the unique needs of the user. 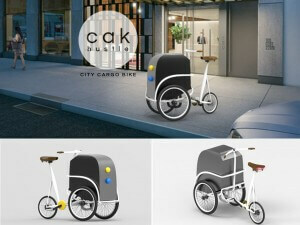 In addition, the Cak Hustle uses its own kinetic energy to power smartphone accessories and safety lights. All of this functionality is packaged in an aesthetically pleasing clean, simple design. Description Designed to enable short distance cargo transportation by human power. 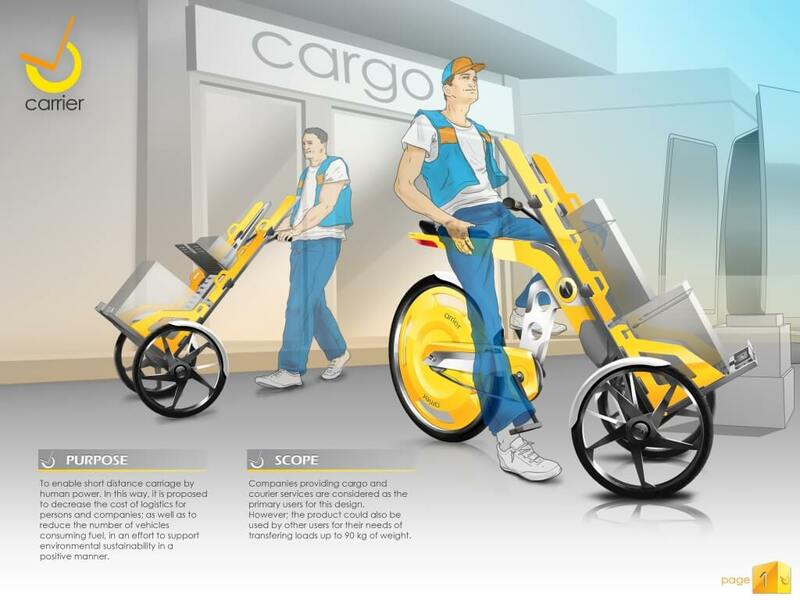 This design can decrease the cost of logistics for individuals and companies, as well as reduce the number of vehicles consuming fuel, in an effort to support environmental sustainability. Description Chita is a 26” hybrid urban bike, inspired by the Asiatic Cheetah. 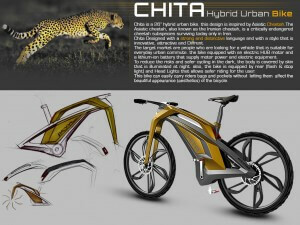 Chita was designed with a strong and distinctive language and with a style that is innovative, attractive, and unique. The target market is people who are looking for a vehicle that is suitable for everyday urban commuting. The bike is equipped with an electric HUB motor and a lithium-ion battery that supplies power to the motor and electric equipment. To reduce risk and foster safer cycling in the dark, the body is covered by skin that glows in the dark. 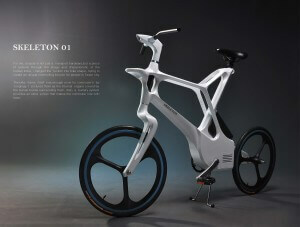 Description The E-bike concept CHOOSE! 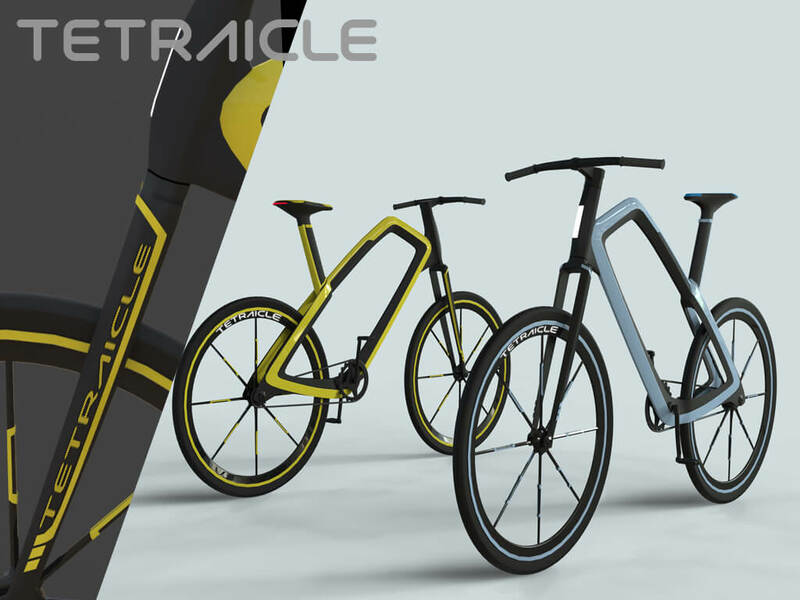 wants to break with conventions and radically redefines the theme of a modular bicycle. 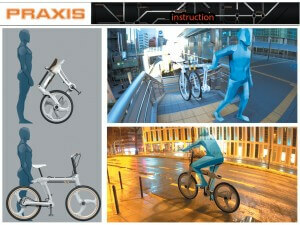 The users can configure the bike differently depending on the usage scenario. 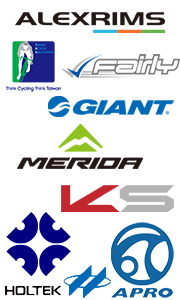 They can focus on safety, sportiness, comfort, or tradition. 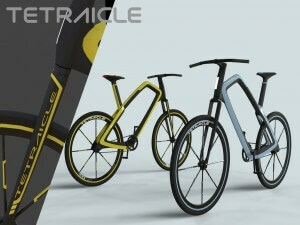 Various parts can be clipped onto the innovative frame, and, thanks to its light weight and partially 3D printed parts, those E-bike can also be used as a normal bike, without removing the engine, unlike other bike concepts. Description Traffic is one of the major problems of the modern World. Big cities are becoming more and more crowded, and the infrastructure is insufficient.. For this reason, subway and high-speed train networks are expanding. But is that expansion really making it easier for a person to get from point A to point B? Horsy is the answer to this question. This cycle is light, easy to carry, and can be folded in the middle. Horsy also takes up less space when you take it with you on public transportation. 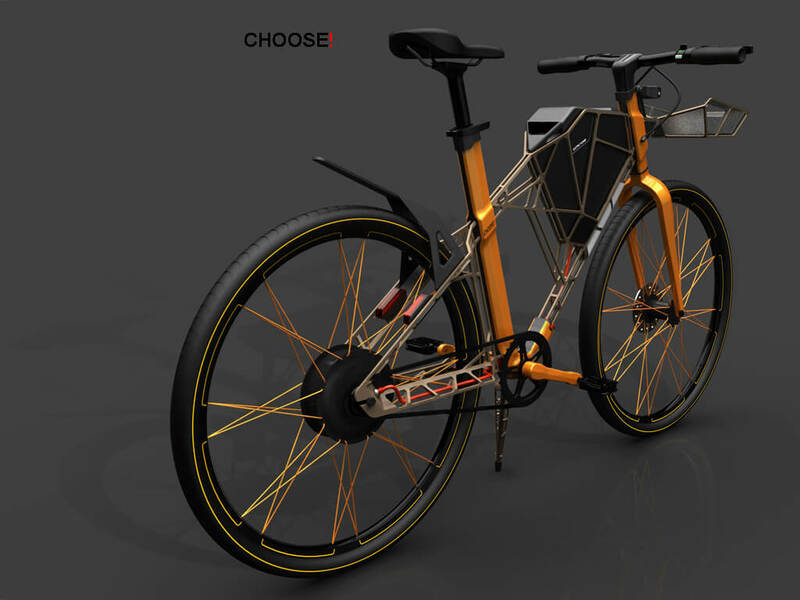 These characteristics make this design more user-friendly than a standard bicycle. 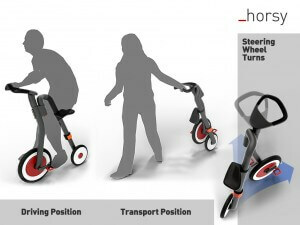 Horsy is the answer for those who are looking for a useful transportation alternative that is reasonably priced with a minimal design. Description The aim of this project is to analyze the life styles of our age and work on the design of a medium of transport that best fits them. Modernism brought speed and motion to our lives, and in this way, we were introduced to traffic and public transportation systems. Nowadays, people need an economic, light weight solution to quickly get away from the traffic. Praxis folds quickly and easily. Furthermore, its compact design is perfect for carrying on public transportation and storing inside buildings. The bike can be picked up using the grip underneath the saddle. It is ideal for anyone who would like to be free of motor vehicles. 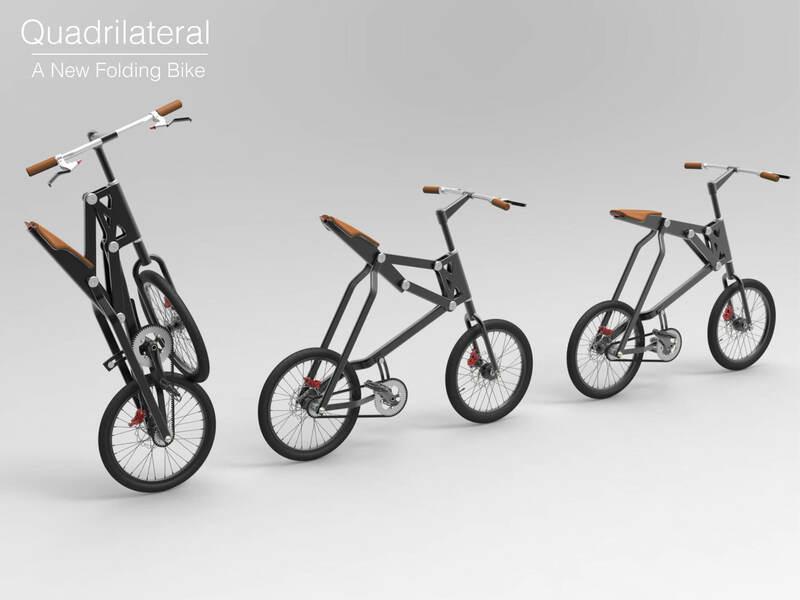 Description Quadrilateral has a new folding structure with less welding points than the other folding bikes; the various parts of the frame use hinge connections with bearings that allow for quick folding and unfolding. Those folding bike is for two groups of people: those who have cars can ride the bike between their parking spot and destinations; those who use public transportation to go to work can ride between the transportation stops and their places of employment. Description The Red+White+Blue (RWB) Machine is essentially an upright unicycle that has been rotated to a semi-horizontal configuration. 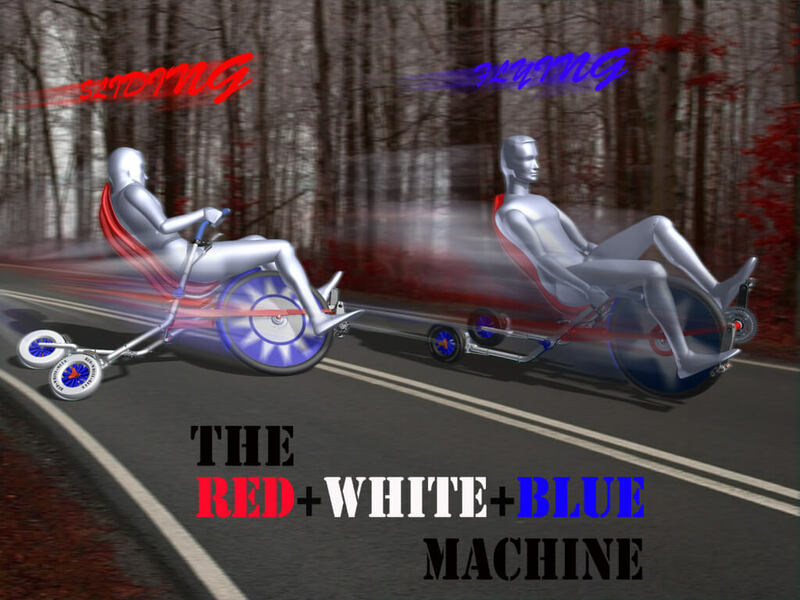 The RWB is stabilized by independently steering and tilting (leaning) stabilizer “outriggers” – mounted on both sides of the cycle. The RWB is front-wheel drive – with a lightweight, compact driveline . Leaning into turns allow for a very narrow recumbent design (no wider than conventional bicycle handlebars). The RWB’s outrigger stabilizer wheels can either be conventional rubber or low friction plastic (for sliding). Three independently controlled brakes allow for total control. The RWB is foldable for compact storage. Description The Greek meaning of tetra is 4. This bike is made out of four connected curves. 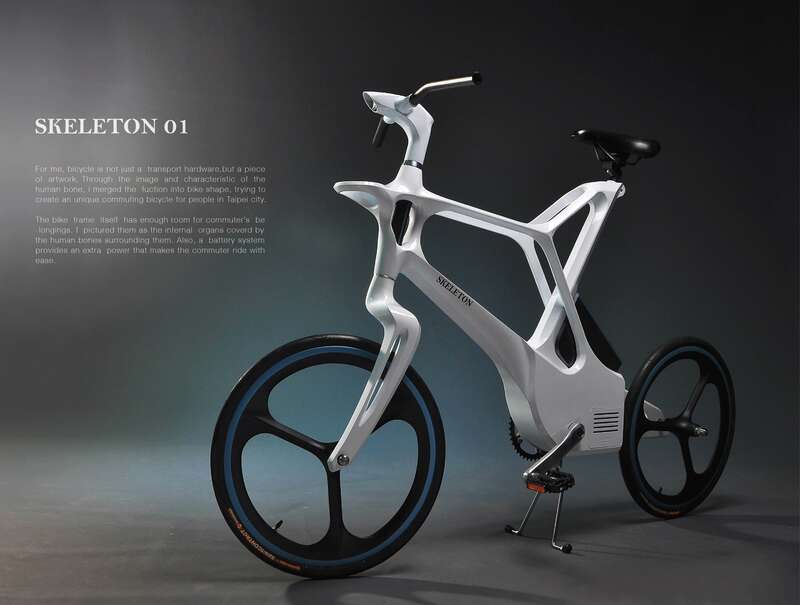 Modern youth are losing interest in cycles; This design contradicts traditional bicycle methods, and it will create interest and bring back the ten cyclists of this century from the world of digital entertainment. This smart cycle will have added features, such as a foldable mud-guard, a small pouch for ear phones, and it will also have a power bank that can charge a smart phone. 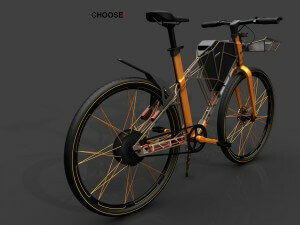 Description ”Travelcycle” is an electric bicycle designed for the travelers. 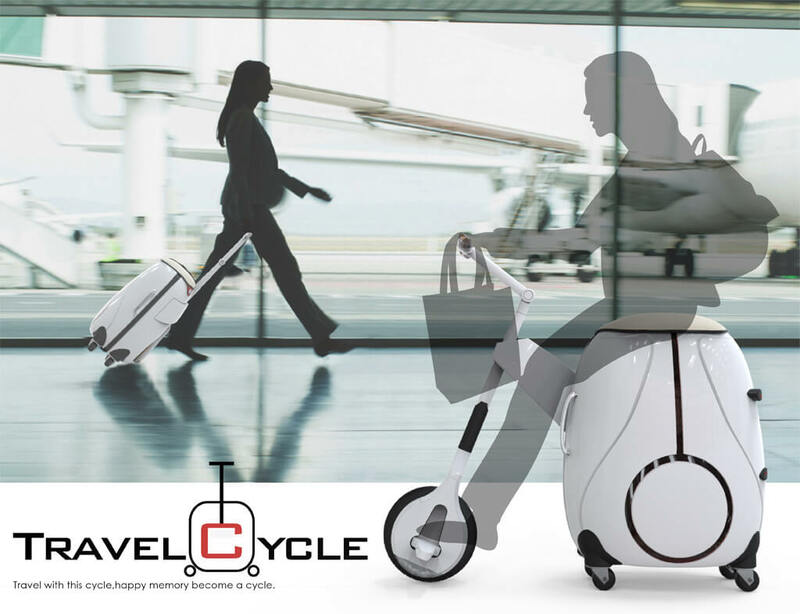 By turning the handle, it the suitcase transforms into a bicycle that allows travelers to ride around in airports and train stations. 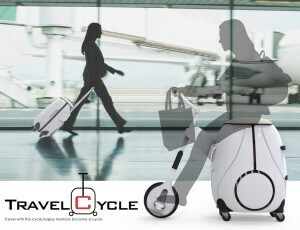 ”Travelcycle” provides front-wheel drive, and it has room to store other luggage, enabling travelers to leisurely ride about. Description UDB is an urban electric bike designed for delivery usage in large cities. 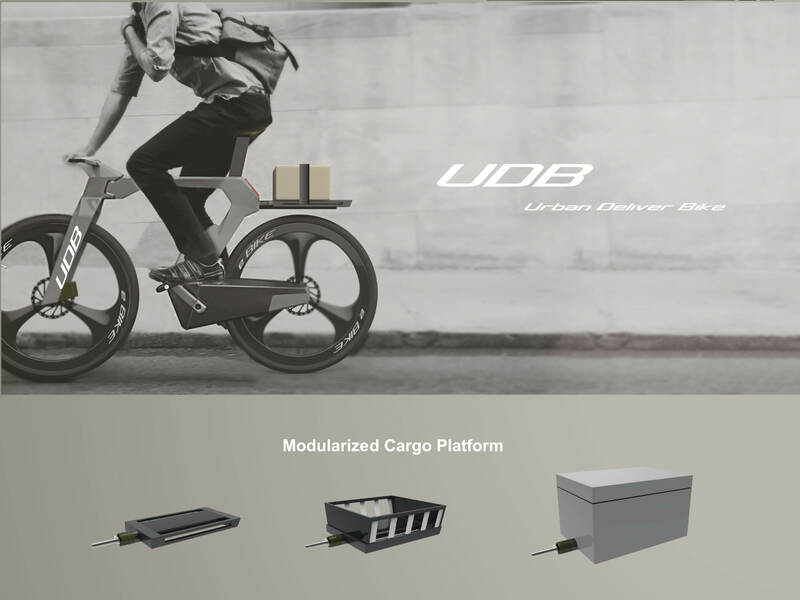 With the electric power and the design of the modularized cargo platform, which provides simple and intuitive operation, UDB can make the delivery of various kinds of goods easier and faster. The main concept of UDB is its cargo platform. Through two simple moves (insert & rotate) users can easily connect the cargo platform to either the front or the back of the bike.